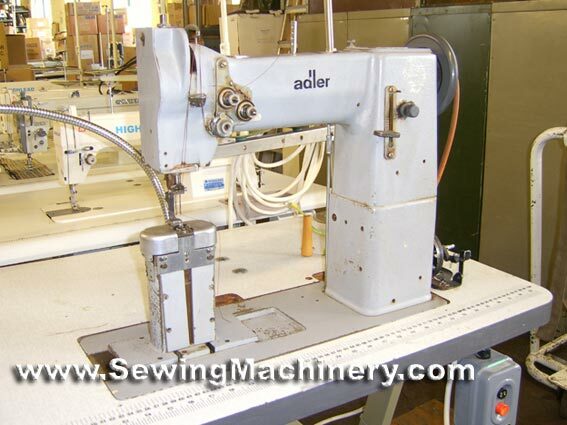 Adler 168 261 twin needle, needle feed, post bed lockstitch industrial sewing machine. Robust model made in Germany by Adler. With bottom feed, needle feed and reverse feed.